New Rochelle HS baseball players know the meaning of the word giving back. During their offseason, they take the time to go out into the community and support their local youth who might not otherwise have the chance to experience the sport of baseball. In the fall they helped run a clinic for little league and the boys and girls club. During the holiday season, they sold pies in a fundraiser to collect donations for Hope’s Kitchen in New Rochelle. 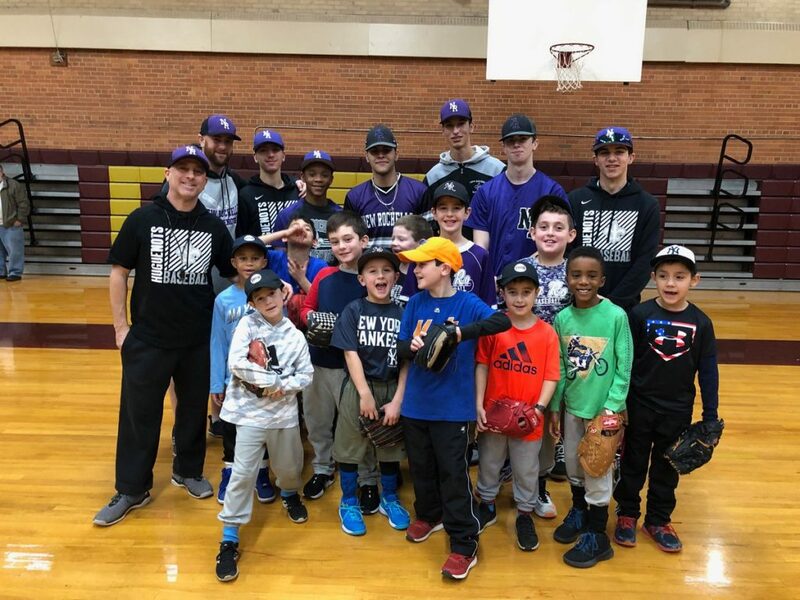 Then this past January, New Rochelle HS baseball players gave back at the youth baseball tryouts. Coach Peter Annunziata believes it is an important part of the athletes’ experience to take part in community service and he tries to offer as many community service projects as he can to his players throughout the year, which the athletes are eager and ready to lend a hand and help at!